Comprehensive firewall security testing to identify your open TCP ports. 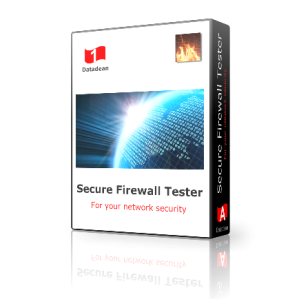 You are able to find your unwanted firewall and network security vulnerabilities easy and fast with the Secure Firewall Tester. The Secure Firewall Tester enables you to test your computer networks for the first 1024 service ports, a single port, a range of ports from 0 to 65535 and to test for wide open outgoing information data leaks to the internet. There are two methods for using the Secure Firewall Tester to find your unwanted firewall security vulnerabilities; the first is to use it to test the incoming ports on remote LAN firewalls, such as your PCs and firewall/Internet routers, or the outgoing firewall ports on your PC. The second method is to use the tester to locate information data leaks to the Internet.